March 29th, SME’s and research centers from the water treatment sector exchanged their experience to take up 21th century challenges. 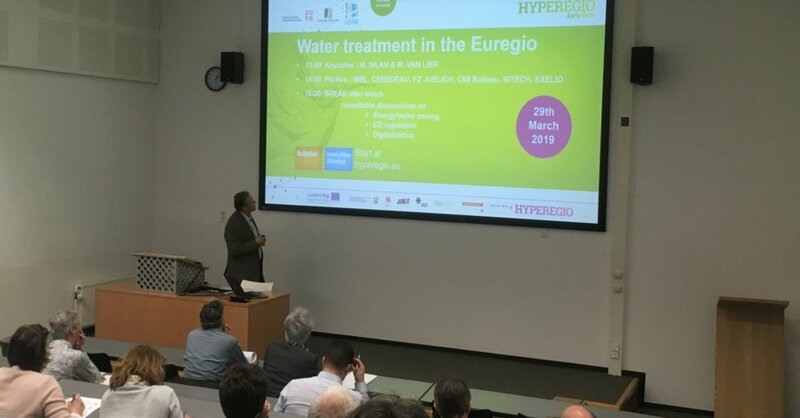 The event started with two presentations of water treatment issues both in the Netherlands and Wallonia. Then six companies and research centers from the Euregio were given the opportunity to pitch and present how they deal with the challenges previously mentionned. With the support of EarlyTech partners Hogeschool Zuyd, GREOVA and Basse-Meuse Développement, the participants finally took the opportunity to exchange ideas, needs and offers during a roundtable session. Many crossborder contacts have been set up, technology transfer cooperation on its way !